Gov. 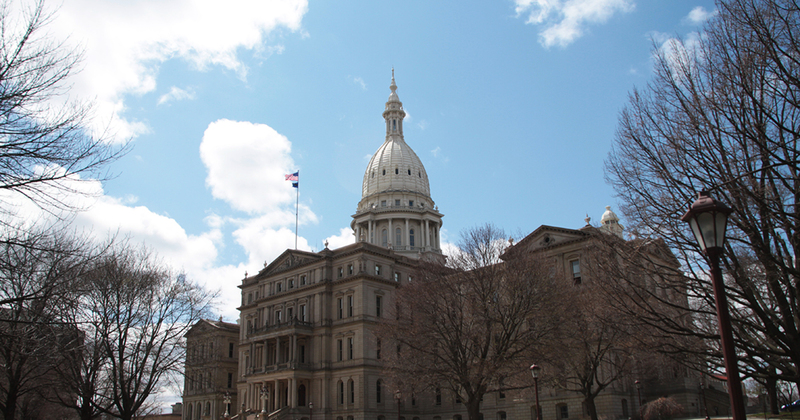 Rick Snyder is hoping that a package of corporate handout bills already passed by the state Senate (Senate Bills 242-244) will likewise be adopted by the House as early as next week. The proposal reads a lot like the old, failed Michigan Economic Growth Authority that cost taxpayers billions of dollars with little to show, at the expense of perhaps more wisely funded programs. The legislation represents another profoundly unfair attempt by Lansing politicians to transfer wealth from the many to a few elites. This philosophy that favors corporations over everything else is not only unfair, it is ineffective and should be rejected. We should return to a “fair field and no favors” approach to economic growth. The legislation would give a few cherry-picked corporations a percentage of the tax revenue that new employees would normally pay to the government. This means tax dollars that might be used to benefit all Michigan residents will only benefit politically connected, large corporations. 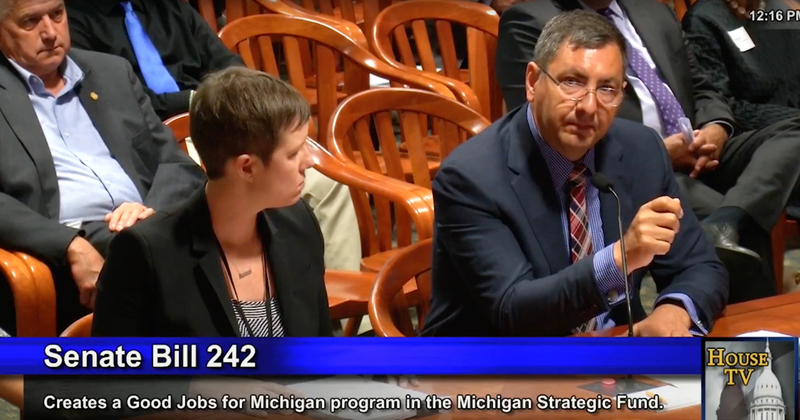 While this funding mechanism is a relatively new way to give corporate handouts in Michigan and differs from the way favors were paid out via the old MEGA program — in that case, via tax credits — this so-called “Good Jobs for Michigan” is basically MEGA 2. The new bill’s text contains 12 instances of identical or near-identical language and concepts from its predecessor. Regardless of the way favors are distributed, such bills represent a forced transfer of wealth from the many to a few. As the Mackinac Center has argued many times, government has nothing to give anyone it doesn’t first take from someone else. 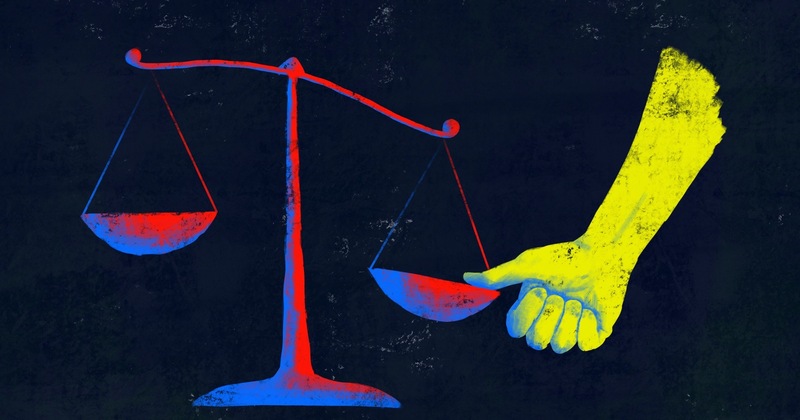 This program could in effect redistribute $200 million over ten years, though future lawmakers can always expand the handouts once the program is in place, just as they did with the original MEGA law. Such transfers do more than provide special fiscal favors for the benefit of big businesses. They also place at a disadvantage potential competitors who were not fortunate enough to get government goodies. Imagine working day and night to grow your family business only to discover that Lansing bureaucrats have offered your tax dollars to a competitor. Few things seem more unfair. Yet despite this, some still say this legislation is basically costless. They say that without this bill and its subsidies, the selected companies would not create jobs or create them here, so the diverted/gifted tax revenue wouldn’t be generated anyway. But they can’t prove this. They are simply relying on the word of corporate executives in front of whom they have dangled millions of dollars in incentives and the development agencies interested in handing out the loot. This way of thinking is naïve and not backed by evidence. In 1995, one of the first MEGA deals ever struck went to the Walden Book Company, Inc. Company executives were required by law to say that it was MEGA that made the difference in their decision to move to Michigan. Yet reporters learned that the company president had put down a deposit on a home in the Ann Arbor area before MEGA was ever approved. The company was likely coming here anyway and just went shopping for state favors, which lawmakers gave it. It went on to file for bankruptcy in 2011, ultimately erasing jobs allegedly created by MEGA. “Costless” indeed. In addition to being unfair, these programs are ineffective. A 2014 analysis of a similar program in Kansas revealed that companies who received favors created no more employment than like companies who had not. The Michigan MEGA program has been analyzed five times by scholars and four of the studies showed the program has had zero positive impact, or even negative impact, on the economy. Only one study found a positive impact. The absence of hard, empirical evidence proving programs such as MEGA 2 will be effective highlights a cold truth about those working to pass the legislation. Their worldview, or philosophy, seems to be a corporatist one, where politically favored companies matter most and they get to play by different rules than everyone else. So, what is the alternative? Economies have been developing themselves for millennia, free of government intervention. The people of Michigan have been founding good businesses that create good jobs without government tax tomfoolery since before we were a state. If the government simply got out of the way and stopped taking money from some of us to give to a few politically-connected friends, we’d create even more and we’d all be better off for it.